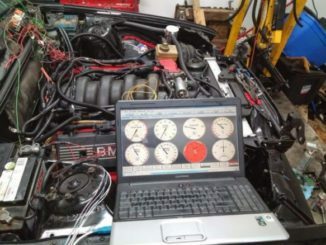 The GM 6.6L Duramax diesel seems to be causing a lot of controversy over what the correct head gasket is for this application. Many installers are just picking the thickest gasket available to avoid any clearance issues, hoping that performance and reliability will not suffer. To maximize performance and longevity there is a proper gasket to use once you have confirmed the piston protrusion. 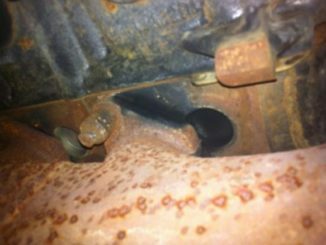 Using the wrong head gasket on this engine could cause engine damage. The left and right cylinder head gaskets are not interchangeable. As a result improper placement of the cylinder head gasket will block coolant and oil passages. Hence blocked coolant and oil passages will cause severe engine damage. It is physically possible to install the head gasket “flipped” end-to-end. The gasket markings should be up when correctly installed. As a result GM offers three different thickness head gaskets depending on the amount of piston protrusion the engine has. There are also different head gaskets for the left and right bank of the engine. 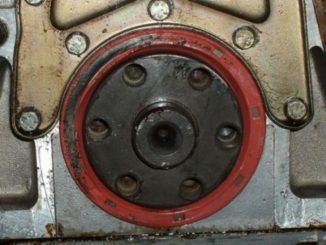 Also measure piston protrusion to confirm you are picking the correct gasket. Therefore always check both sides as they are not always the same. In addition use a dial indicator on the deck surface and check the piston in two different locations on each bank. Finally place the pointer right above the piston pin centerline to prevent inaccurate readings from the piston rocking in the cylinder bore. Rotate the engine through TDC while noting the maximum reading on the dial indicator. Obtain the maximum value of protrusion for each bank of cylinders. Determine your gasket options using the information below. NOW THAT YOU ARE COMPLETELY CONFUSED WHAT DO YOU USE ? Well , Felpro has solved that problem for you, It is your choice but this is what most people are using. All the info you need is in this handy PDF supplied by Felpro.